Toughest Fella I Ever Knew. 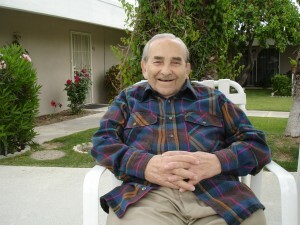 Toughest fella I ever knew, Max Zeman, my grandfather, passed away this weekend just 9 weeks short of his 100th birthday. For somebody who witnessed the worst of what the 20th century had to offer, he managed to hold onto one of the world’s best, warmest laughs and a firm appreciation for the little things. I’m talking about 5 feet of steely will that survived Nazis, sniper bullets, military hospitals, infections, displaced person camps – and a half century of Minnesota Vikings disappointments. Against exceptionalism: here’s what a housing start really looks like (one for the Minnesotans). My long-time readers are aware, I think (perhaps too aware) that I spend an inordinate amount of time contemplating (and sometimes writing about) the life and fate of my home state, Minnesota (population, 5.3 million). 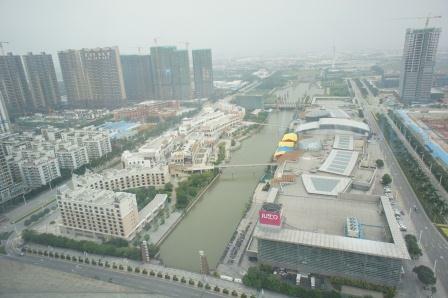 And that mental phenomenon, in part (there were other reasons), explains why, yesterday morning, I was atop a hotel in Foshan (population, 3.3 million) a rapidly developing Chinese city (what Chinese city isn’t rapidly developing) that most Minnesotans have never heard of, looking at data on Minnesota housing starts. For those who don’t follow this sort of thing, a housing start is simply a housing unit on which construction has begun in a given period. So, according to the US government data that I was looking at, there were exactly 709 housing starts in Minnesota in September. Then I turned around, looked out the window, and saw many more than 709 starts happening 33-floors below. As well as a shopping mall to dwarf any but the Mall of America, a new “financial park,” lots of commercial real estate … and this is just one neighborhood on the outskirts of town. 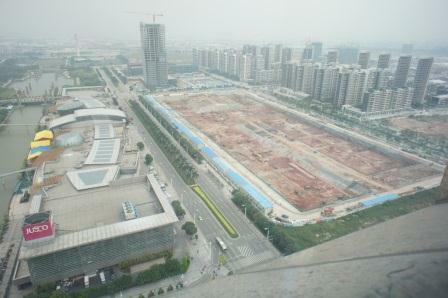 Far more intensive construction was going on closer to the city core. And, in the course of the 16 days that I’ve spent up, down, and sideways in Guangdong this month, I’ve seen dozens of projects just like these, often much bigger (photos taken of the right and left-handed views of the same project). None of this comes as a surprise to anyone who spends any time in China – even fleetingly. It is the stuff of daily life. But back in the US, and back home, in Minnesota, especially, I can’t help but get the sense that there’s an almost purposeful denial that what’s happened, and is happening in China is fleeting; that, in some shape or form, everything will go back to normal and sooner or later Minnesota will have more housing starts than China (or, at least, Foshan), again. We just need to cut taxes. Or spend more on K-12 education. Pick your favorite solution to the current economic malaise, whatever that may be, and it’ll set things back to 1985, again. At a minimum, over the course of several trips to the US this year, I’ve gotten the unerring sense that otherwise intelligent people are too ready to blame the current economic downturn on partisan factors having to do with Minnesota/North America, without pausing to consider that, just perhaps, there’s something (many somethings) happening in cities they’ve never heard of, changing the living standards of Minnesotans, permanently; that much of what’s happening to Minnesota’s economy has nothing to do with Minnesota. This sort of economic and political narcissism (“our problems are only our own creation”) isn’t going to lead to a very nice place. At some point, you’re going to have to admit that there is, in fact, something to that competition beyond their lower salaries. Anyway, dear Minnesotans, that’s what 2.5 weeks in Guangdong (and 9 years in China), and a bunch of Census Bureau stats, led me to ponder. During the four years that I’ve kept this blog, I’ve been reluctant to offer too many insights into my life away from my laptop. This is for many reasons, not least of which I’m pretty sure that the folks who come here for the China blogging don’t come here for, say, blogging about what podcast I might’ve listened to on the flight to Guangzhou. But, you know, one of the great surprises of blogging and tweeting – for me at least – are the friendships, the relationships, that I’ve developed with readers. I can really say, looking back, that my life away from the laptop was enhanced, considerably, by this platform. Who would’ve guessed? My grandmother, Betty Zeman, never quite understood blogging, or twitter, for that matter. But that’s just a matter of timing: if she’d been born a few decades later, she would’ve been a social networking maven, if ever there was one. She was just that kind of lady. 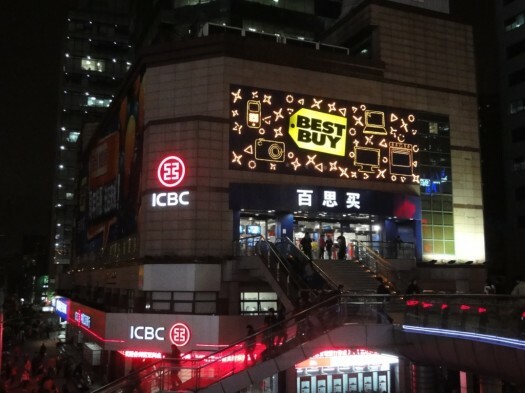 Late last week the Chinese media started reporting rumors that Best Buy, North America’s dominant electronics retailer, was planning to shut down its branded stores in China. Rumors like that don’t start from nothing – the company’s stores have been empty for years, and rumors have circulated about all kinds of management problems. Still, that didn’t prevent the company from formally denying the closure rumors yesterday … and then shutting them down today, Tuesday. 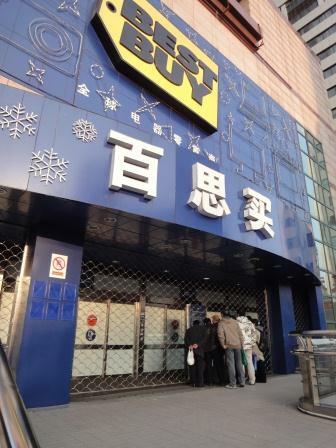 An image of Best Buy’s flagship store, shut down and locked up, around 4:00 this afternoon. Q&A: Marketplace’s Rob Schmitz on covering China, his new blog, and … Minnesota. Mid-summer 2010 and I was scheduled to have lunch with Jeff Wasserstrom, academic, author, blogger, and all-around good guy. A few days before we met, Jeff emailed to say that he’d like to bring along Rob Schmitz the (then) new Shanghai correspondent for American Public Media’s Marketplace program (heard on US public radio affiliates). Fine by me, and we met up for (if I recall correctly) Turkish food. In retrospect, though, I wonder if Jeff didn’t have second thoughts: for it didn’t take more than ten minutes before Rob and I figured out that we’re both Minnesotans, and thus Jeff (a Californian with no Minnesota ties) had to sit through two Minnesotans in China, comparing notes for – I must admit – a little while. Of course, that’s not all we discussed that day. Rob’s background, and circuitous journey to being a business correspondent in Shanghai started in the Peace Corps in Sichuan with an illustrious class that included two colleagues who would also become important China correspondents (revealed below). Me, I think Rob’s Peace Corps background provides him with a different, richer perspective on China than what’s typically offered by correspondents with no prior relationship to China. In any case, I’ve been meaning to do a Q&A with Rob on this very subject for a long time, and – with the launch of his new Marketplace blog – Chinopoly – and the opening of his twitter account – @marketplacerob – it seemed like the right time. So, without further ado, an emailed Q&A with Rob Schmitz on China, reporting … and the Minnesota Vikings. Scrap: How does one go from Peace Corps volunteer to China Bureau Chief for Marketplace? We do not represent Best Buy, but we do represent a company in a similar position and let me tell you that keeping these guys out of the store borders on impossible. The people selling this stuff in the store are gangsters and they intimidate and they have connections. The staff are afraid and with good reason. The issue is much bigger than just Best Buy. In most cities, the police are absolutely no help at all. This is credible information, and makes complete sense in light of what I saw last week: the staff of the Best Buy store could see precisely what was happening, and made no move to interfere. Store management, when I told them what was happening, expressed zero interest in interfering. And, let’s be honest here, it’s no secret that illegal commercial activity occurs all over Xujiahui (just take a look at the hawkers working the entries to the Xujiahui subway station) without any interference from the police (ie, full acceptance by the police). What I don’t know – and I’d love to know – is whether or not gangs actively target foreign-owned retailers, knowing that they lack the resources and connections that Chinese businesses have, to deal with them. It’s a widely accepted fact of commercial life in China that foreign businesses have to comply with laws that Chinese businesses regularly ignore (politely, overlook). Perhaps this is one more expression of that widespread competitive disadvantage.